June 18, 2018 – The TransMountain pipeline saga has had enough twists and turns to rival its potential path from Edmonton to the Burrard Inlet. The latest – a decision by the federal government to purchase the project from Kinder Morgan – has split Canadians down the middle, according to new public opinion polling from the Angus Reid Institute. 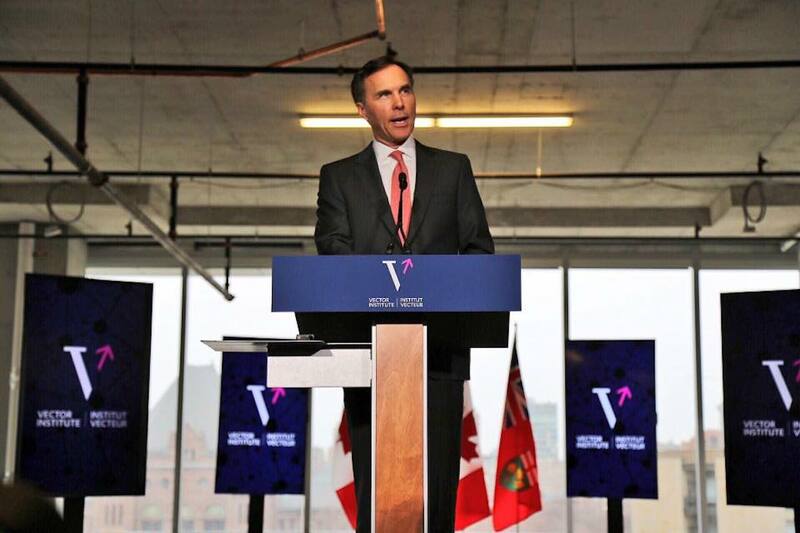 The poll finds equal numbers of Canadians saying the government made the right decision and the wrong decision (37% take each side), while a significant portion of the population is unsure (26%). The debate rages on. Two-thirds of those who say the government made the right decision in buying the pipeline feel this way because they believe the project will be a good investment for Canadian taxpayers (66%). Opponents, on the other hand, say that the government has set a bad precedent for future resource projects by taking control of this one (64%). 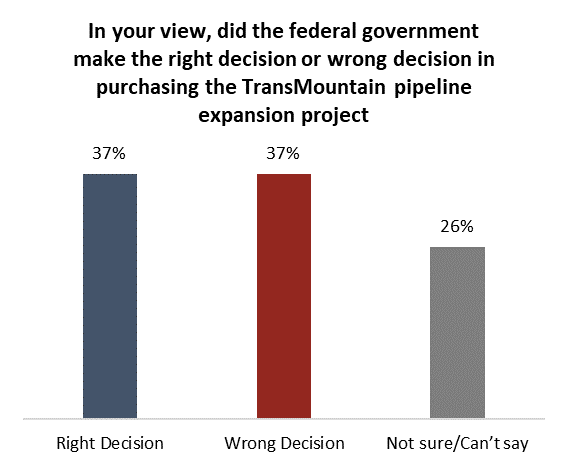 British Columbia residents mirror the national average on opinions of the government’s decision to buy TransMountain – 38 per cent say it was right and 38 per cent say it was wrong. Half of Alberta residents (51%) say the Liberals got it right while 28 per cent disagree. Overall support for the project is in line with previous Angus Reid Institute tracking. Roughly six-in-ten (57%) support TransMountain, up marginally from 55 per cent in April. Canadians are split close to evenly when asked if the government has done a good job on this file. Four-in-ten say they have (39%), slightly more say they have done a poor job (42%). Men are much more positive than women.